Together with Ukraine International Airlines’ Product Department, Kaelis designed a totally new business class tableware for all medium and long-haul flights. The Business Class Passengers of Ukraine International Airlines have been enjoying an elegant customized crockery designed by Kaelis. 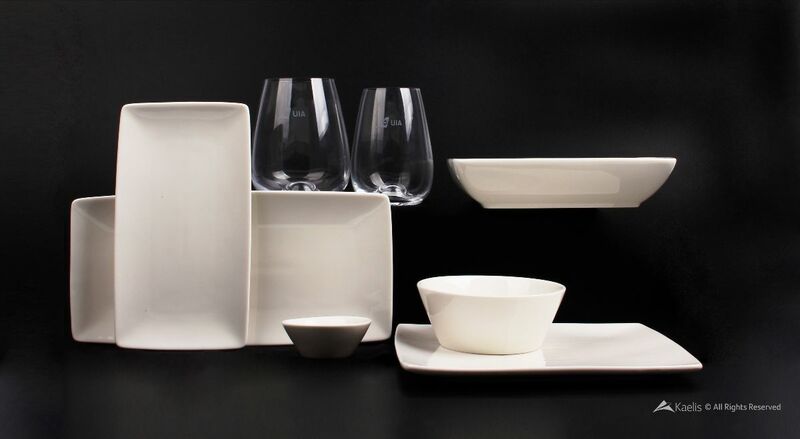 This elegant and useful 8-piece set creates a unique dining onboard experience. With its soft lines and clean style Kaelis gives Ukraine International Airlines what they need: a white colored and attractive crockery, with unique designed glasses, which improves its passengers’ on-board experience.